by Joe Movie Review	• Tags: Allison Janney, Ben Falcone, Dan Aykroyd, Gary Cole, Kathy Bates, Mark Duplass, Melissa McCarthy, Nat Faxon, New Line Cinema, Sandra Oh, Susan Sarandon, Tammy, Toni Collette, Warner Bros.
Review: There’s a special place in cinema hell for movies like Tammy. Movies so bad, so rancidly unfunny that shelf space has been reserved for them in the fiery pit right next to most Adam Sandler films, Xanadu, Exit to Eden, Cool as Ice, This is 40, and Nacho Libre. What earns Tammy higher honors than most is how it squanders every single thing it has going for it: a popular (if fatally misused) lead, a stellar cast of gifted comedy veterans and/or Oscar winners, and a prime summer spot from a top studio. Yet it’s all for naught as the movie starts off bad and only gets worse over the next punishing 90 minutes. It’s way past April Fool’s Day but go ahead and send your worst enemy to see Tammy anyway, preferably at an evening show where they’ll shell out nearly $20 to suffer through the unbalanced comedic misery. For you see, Tammy is the awful gift that keeps on giving; never once taking into consideration that it has no laughs, no likable characters, and is as unpleasant as a Silkwood shower after a bad sunburn. The movie is downright uncomfortable from the get go as it opens on an unkempt Melissa McCarthy driving to work while stuffing potato chips into her mouth and then running over a deer that she then tries to resuscitate. Bloody and covered in animal mess, Tammy eventually shows up to work where her boss (Ben Falcone, Enough Said, McCarthy’s true partner in film crime seeing that he’s not only her husband but the co-writer and director) promptly fires her. Before you can say “It can’t get worse, can it?” it does when Tammy arrives home to find her husband (Nat Faxon, The Way Way Back) having a romantic dinner with a neighbor (Toni Collette, Muriel’s Wedding). Faxon and Collette’s few scenes are so under rehearsed and awkward that my only conclusion is that they must have been visiting the set for the day and did this under duress or as a favor. With no job and no husband, Tammy walks a few paces down the block to her parents’ house where she has a brief encounter with her unsympathetic mom (Allison Janney, Bad Words, only 11 years older than McCarthy) before heading off on a sorta road trip with her boozy grandmother (Susan Sarandon, Cloud Atlas, 13 years older than Janney). Sarandon was a last minute replacement for Shirley MacLaine and evidently no one bothered to redesign any costumes or wigs because Sarandon looks positively awful…and younger than Janney. With no old age make-up to be seen and the kind of grey mop of a crazy cat lady wig usually reserved for a haunted house, Sarandon may be the least convincing old person ever seen on screen. The Oscar winner is usually pretty game for anything but McCarthy and Falcone’s script is so unfocused that she’s never afforded the opportunity to really make something of her aging alcoholic granny. No, instead of trying to instill some life into the tired old road trip formula, McCarthy and Falcone manage to find new ways to make traveling cross country boring as hell. The problem is that McCarthy keeps attempting to beat everyone to a certain punchline…and in doing so winds up making it worse for herself. Instead of this being the kind of R-rated female-driven raunch fest that’s made a comeback in the last several years, it’s a painfully dull series of scenes featuring McCarthy’s buffoonish and grating style of comedy. Where is the winning sincerity that made her an overnight star (and an unlikely but deserving Oscar nominee) in Bridesmaids? Instead of continuing on that route of using her comedic skills for good, she’s been wasting her gifts in garbage like Identity Thief, The Heat, and cameos (This is 40, The Hangover Part III) meant to be funny that come off as irritating. Everything about McCarthy’s performance seems familiar…mostly because it’s just a rehash of the simpleton characters she’s played onscreen and in increasingly slack appearances as host of Saturday Night Live. There was a time when I thought McCarthy had it all in the bag, but it’s becoming crystal clear that she’s a comic with limited longevity even though her off screen persona suggests someone you want to have an 80s style sleepover with. McCarthy (and the audience) deserves better than this…but as the co-writer and producer of Tammy she can’t blame anyone but herself. 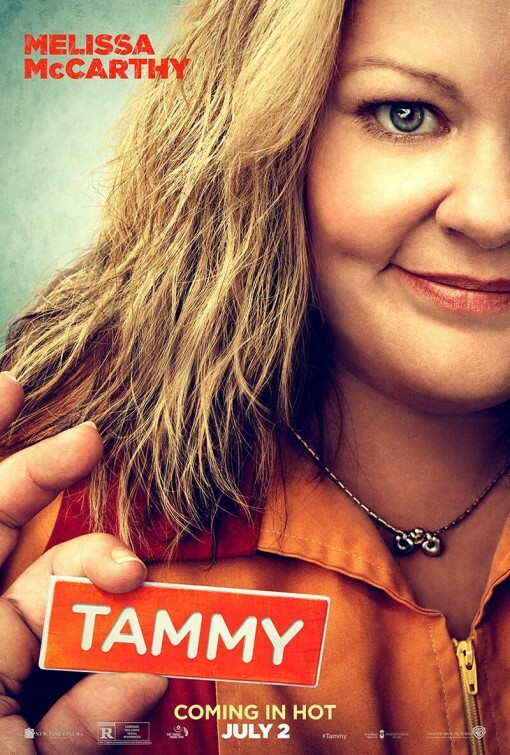 The one redeeming piece of Tammy is a heart to heart scene between McCarthy and Kathy Bates (Titanic, playing a wise old lesbian) that, though remarkably genuine, comes too late in the game to change my overall feeling toward the picture. The scene offered a glimmer of the poignant comedy I think McCarthy may have at one time been aiming for but it’s gone in a flash in favor of more inane dialogue and slapdash film-making. Truly terrible, Tammy is another nail in McCarthy’s career coffin she appears to be more than happy to be lying in. 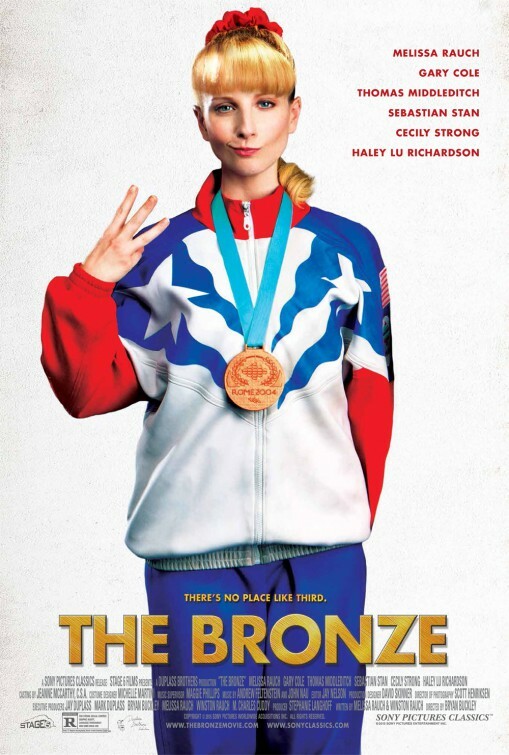 It’s the kind of film where you sink lower and lower in your seat the more banal it becomes. The audience I saw the film with started off laughing heartily but soon trailed off into sparse uncomfortable titters as everyone became aware just how rotten it all was. 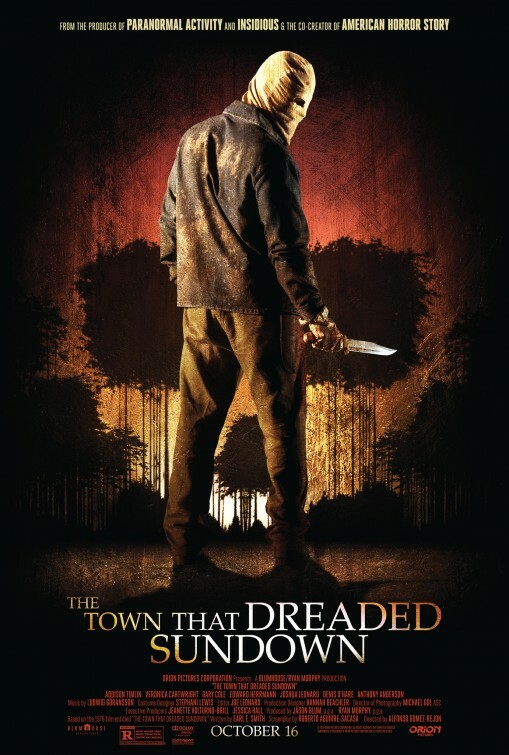 I can’t imagine I’ll see a worse film in 2014 and think that anyone that makes it to the end deserves some sort of certificate of achievement. Avoid at all possible costs (but do take my advice and send your nemesis to a midnight screening). With the 50th Anniversary of the assassination of President Kennedy just passing us by, this modest yet clever teaser was on my mind. 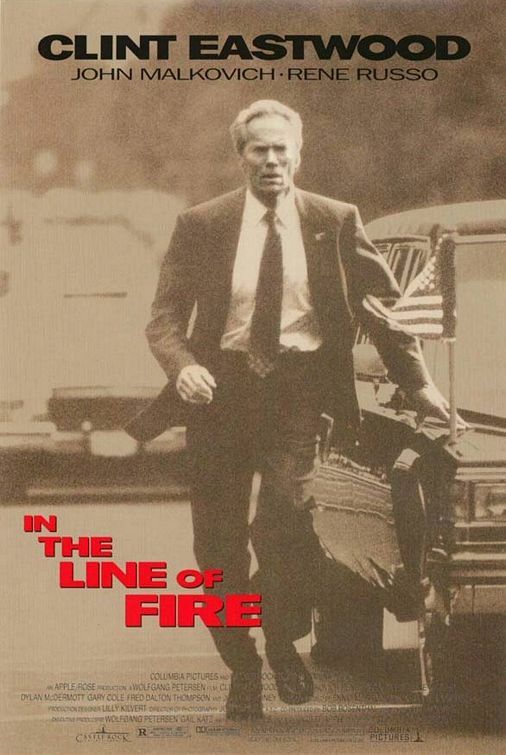 As a child of the 80’s, my exposure to Clint Eastwood wasn’t very diverse in 1993 when I first saw this teaser trailer for In the Line of Fire. Come to think of it, at that time this action thriller surrounding Eastwood playing cat and mouse with an assassin (John Malcovich, netting an Oscar nomination for his work) could have been one of the very first Clint film I had seen. It’s been a while since I’ve seen the film but do recall it had a few nice twists and unconventional moments.